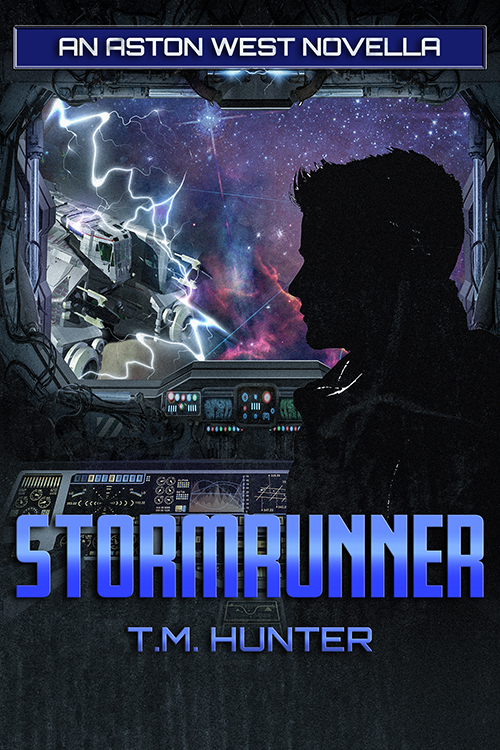 Stormrunner is now officially released for the Kindle, and is available over at Amazon. Go ahead and check out this excerpt. Life tends to throw you for a loop when you least expect it. Unfortunately, it sometimes throws me for a loop, even when I expect it all the time. I was staring at the long-range navigational charts on my side console screens, and kicking myself for not scoping out the details of this job before I took it. That was the trouble with consistently having a cash flow problem, that you tend not to be choosy. If I had actually done some homework first, I would have noticed the fact there was only one direct path from my last stop to my next, Rubicon. Giant areas of plasma storms called the Tycho fields stagnated between here and there, making it impassable as far as a direct route goes. Someone finally built a transport with technology that could navigate through the expanse, making it a bit more feasible. The only way to get to Rubicon was to circumnavigate the Tycho fields until you reached the planet from the other direction, which meant a huge delay in arrival, and likely a huge cut in my pay, if I even received any at all. Given the minimal cash I always had, I probably would have taken the job anyway, even without the transport. Then I looked over toward the station sitting just this side of the phenomena’s edge. The round, spherical structure was fairly non-descript, with its shiny silver outer hull. For what it was worth, it was dwarfed by the actual transport ship resting nearby. 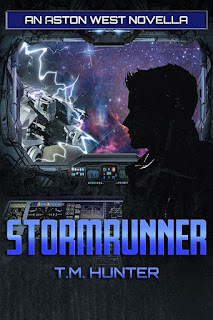 The vessel seemed like it may have been modified from an old Ursulan freighter, with its squashed hexagon form, and the large spherical dome on top of the forward end of the ship where the bridge would have been located. It didn’t seem to have a full complement of cargo bay doors along the entire length of the ship, though, and had several curved, blade-like appendages mounted all over the outer hull. It wouldn’t win any beauty contests anytime soon, but if it did its job of getting through the expanse in one piece, it didn’t need to be pretty. We altered course a bit to the right, where I focused instead on the plasma storm field itself. It was rather hard to see anything out there, but if you strained your eyes, you could make out a large blurring of the stars, as if there were thin clouds of gas in the way. Every so often, I would see streams of light zigzag in the blur. It seemed wrong on so many levels, but I probably would have done the same thing. Cash flow is king in the depths of space. We continued toward the transport, as one of the side panels lifted and opened wide for us. Jeanie did her usual expert job of taking us in, giving me a brief glimpse into the landing bay just before we rotated back around and drifted backward between two similar-sized vessels already docked inside. Suddenly I wasn’t sure this was the greatest idea.